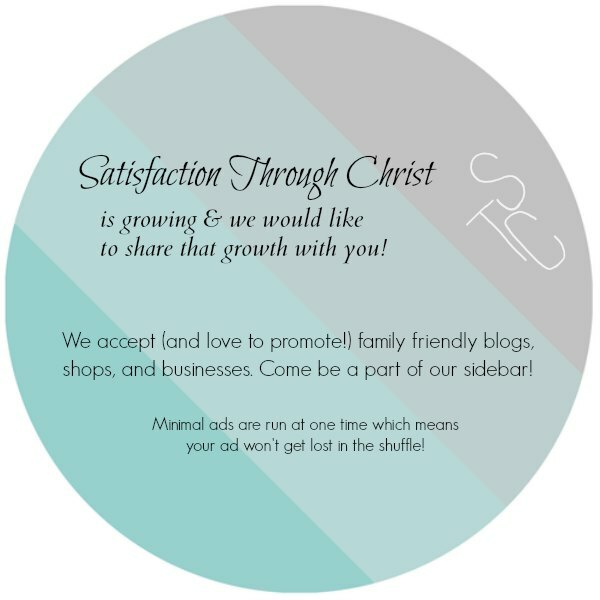 Satisfaction Through Christ’s advertising packages and plans are below, but why not see what other family friendly blogs, businesses and Etsy shops are saying about being on the STC sidebar? 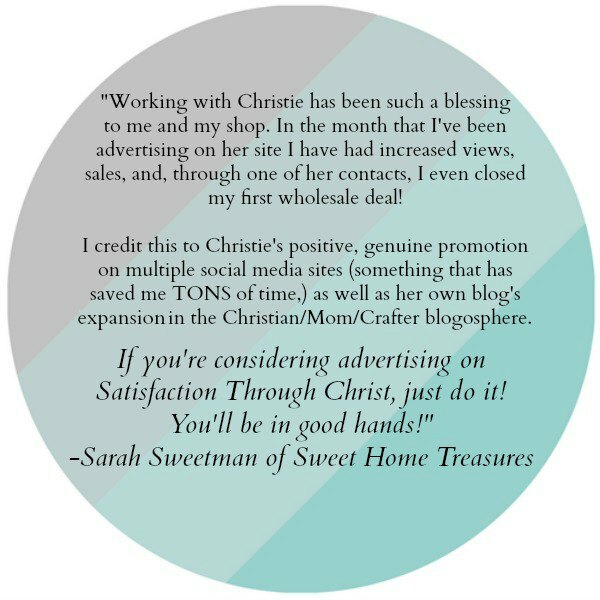 If you have advertised with Satisfaction Through Christ before please email us for a one time coupon code (available only to previous sponsors)! We’d love to have you on our sidebar! Email Christie with the email provided above for availability and rates.